Blue Ocean Film & Television Academy (BOFTA) is a Chennai based reputed film institute, formed to teach and train the students the crafts of acting, screenplay writing and direction, cinematography, film editing and film production management. BOFTA is managed and run by reputed professionals with over 25 years of experience in the Film industry. Unlike other film institutes, where film industry professionals visit them as guest lecturers once in a while, at BOFTA, well known and reputed Masters from the film industry form an integral part of the faculty. Our students learn the various nuances of filmmaking from the Masters of the industry directly and in person thereby gaining an invaluable learning experience. BOFTA offers a rare combination of legends and experts from the film industry joining hands to teach under one umbrella. BOFTA's objective is to enable the students to learn, enhance and display their creativity, so that they get the right opportunities in the media and film industry. BOFTA's culture of learning with fun ensures that the best creativity and talent from students emerge in an easy and free atmosphere. BOFTA is the Only Film Institute in India to offer a real time and live Online course in Screenplay Writing and Direction, thus becoming a pioneer in education. 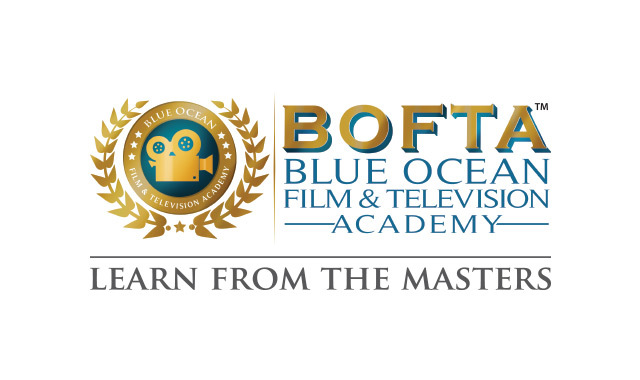 BOFTA is established with a clear vision to offer career oriented courses using latest technology and knowledge so that the students graduating from the Academy are ready to be employed by the film industry. Most courses are designed and developed with the focus on practical learning from the Masters and are updated, keeping in mind the current technological, social, cultural and economic changes. A rare opportunity to interact, explore and learn every day directly from the Masters of the film industry. State of the art campus with modern classrooms and several facilities for students to learn in a comfortable atmosphere. Various opportunities to showcase the talents of students in multiple forums like film festivals, competitions (internal and external) and events. Our hands on approach to learning, equips our students with the essential skills to shine in the media industry. BOFTA is different from other conventional Film Schools/Institutes. First of its kind, the Academy is integrated fully with the Film Industry veterans and achievers and offers Diploma courses to students, who are keen to be a part of the Film Industry. First Academy in South India, which offers the entire spectrum of Film studies, with courses ranging from acting to film production. First Academy in India to offer a real time, live Online course to teach screenplay writing and direction. The key offering of the Academy is that the entire faculty and management are from the Film Industry with number of years of experience, reputation and expertise. Hence, the students get first-hand knowledge directly from the Masters. The Masters of the Film Industry are regular faculty members and not mere visiting faculty or guest lecturers as in other film schools/institutes. The Academy helps students to get internship and placement with film production companies, filmmakers, technicians and media industry through its association with top talents and production houses. Live case studies of new films and discussions on technical aspects with the filmmakers and case studies of world-cinema with Masters and learning from them is a regular activity at BOFTA. Regular Master Classes, Workshops and Seminars on various topics are conducted with top talents from the film & media industry with the objective of enhancing the student's knowledge. Practical learning from the Masters are given higher importance than theoretical knowledge from academicians. The goal of BOFTA is to groom 'ready to be employed' talent with the help of Masters, which helps the students to achieve their dreams in the Film and media industry. To learn directly from the Masters of Film Industry is the biggest advantage at BOFTA. Teaching only by the Masters of Film industry as against Professors and Theoreticians sets apart the Academy from other such film institutes. The education is ongoing even after the student steps out of the Academy. The Masters continue to mentor the students all through their career. Access to World Cinema, Best Films and Best literature on Cinema. The in-house library of over 15,000 DVDs in various languages offers a wide range of films for students to view and learn from them. The students are also be exposed to new films releasing in various languages on a regular basis through special shows at the in-house preview theatre. The in-house library houses over 6,000 books on Cinema and Popular Tamil and English literature (including over 4,000 books received from Legendary director Balu Mahendra's family), which are helpful to enhance the knowledge of students. Students are exposed to real life cinema by making them a part of the filmmaking process of various Masters so that they understand the medium better and gain confidence to become an independent filmmaker or technician. Students are sent to various feature film shootings and be a part of the filmmaking process to learn practically the way a film is made. Courses Limited Entire spectrum of filmmaking including an Online course. Course fee Equivalent / lower than other private film schools.